United Arab Bank has again caused great excitement in the residential mortgage market by announcing its new unbeatable interest rate in the UAE. With an interest rate of 3.99%, this is a welcome addition to the mortgage landscape for customers who are looking for a sensible alternative to bring down their monthly commitments. 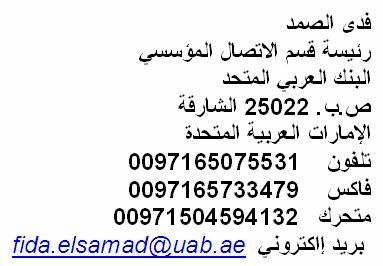 UAB offers this product to Salaried and Self Employed UAE Nationals as well as Expatriates with Conventional and Islamic financing options. United Arab Bank has a network of 14 branches all over UAE, offering a whole range of attractive deposit and lending options. Online banking, SMS banking, ATMs and a state of the art call center offer round the clock banking services in a safe and secure manner. UAB’s ATMs are enabled with 24 hour cash & cheque deposit facility in addition to honoring all kinds of credit and debit cards for various types of banking services. UAB became part of a GCC regional banking alliance in December 2007 upon acquisition of a 40% interest in UAB by The Commercial Bank of Qatar (CBQ), Qatar’s largest private sector bank. With the Commercial Bank of Qatar concluding a similar alliance with National Bank of Oman (NBO) two years ago, all three banks are strongly positioned for future growth. In a challenging financial environment, United Arab Bank maintained earnings momentum recording a net profit growth of 10% for the year ended 31st December 2010. The bank is rated by Moody’s with a stable outlook.